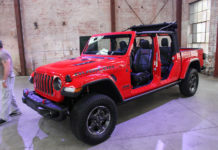 Like every year, Jeep and Mopar unveil a variety of concepts at the Moab Easter Jeep Safari. 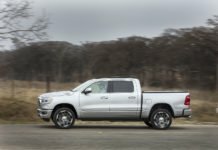 The first two sketches of the 2019 edition have been unveiled by the manufacturer. 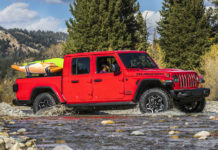 The tradition continues in 2019 for Jeep, they will still present several cool concepts during the annual Moab Easter Jeep Safari. We finally get a glimpse of what FCA has put together for us this year. 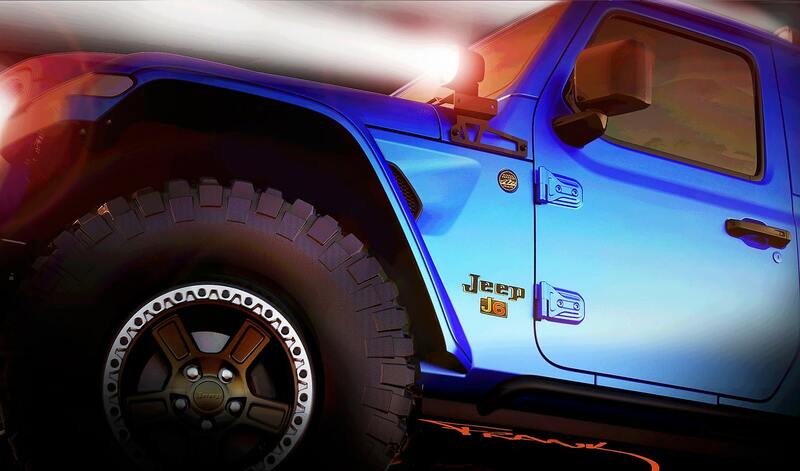 The first image features an electric blue Jeep Wrangler on mud tires with lighting additions on the hood and roof. You can also see a “Jeep J6” badge on the side of the concept. 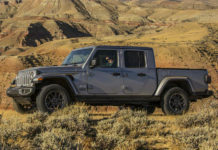 For the second image, we can clearly see that we are talking about a Jeep Gladiator, there is no doubt about it. At first glance, we can distinguish several modifications. First, we notice that the box of the pickup features a rollbar and carries what seems to be a motocross. The concept, wearing a highlighter yellow, white and black livery, is also wearing mud tires. Its look suggests that it’s well equipped for off-roading. 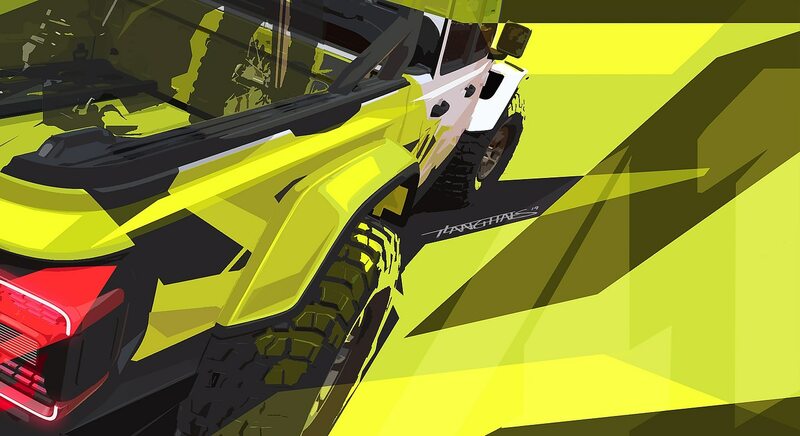 Both models will be unveiled at the 2019 edition of the Moab Easter Jeep Safari to be held April 13-21 in Moab, Utah. Stay tuned for more details on both these concepts.